*First Cabin Club* is located along the Colorado River. 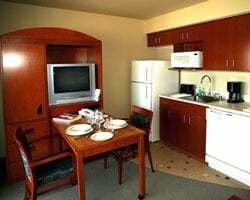 Each unit offers a king-sized bed, queen-sized pull-out sofa, 24-inch and 36-inch televisions with DVD/VHS players, and a whirlpool tub. Convention facilities and waterfront dining are available on the property. Play golf at the nearby Arnold Palmer-designed golf course, visit London Bridge, or shop at the 50 stores in close proximity. Watercraft rentals, para-sailing, kayaks, boat slips, and a floating water park sit just steps from the resort. Fishing guides, desert and lake tours, and Las Vegas-style gaming can be reached by car. Beautiful resort located along the Colorado Rivers! Great option for golfers, outdoor enthusiasts and more! Inquire for details! Perfect resort for outdoor lovers, golfers and more! Floating week! Buyer may receive a title fee credit, inquire for details! Beachfront resort on an amazing lake in Arizona! Yearly floating week! Buyer may receive a title fee credit; inquire for details! Close to golf courses, casinos and more! Pick your dates each year! Float between weeks 16-42! Buyer May Receive A Title Fee Credit, Inquire For Details! Floating week in odd years! Fantastic resort located right along the Colorado River! Make an offer today! Located right along the Colorado River! Perfect for golfers, outdoor enthusiasts & more! Buyer may receive a title fee credit, inquire for details! 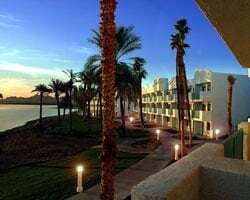 Only lakefront resort in Arizona! Boat lovers dream! Ability to drive a boat right up to the casino & bar on the Lake! Flexibility to pick your week! 2 Floating Weeks. Pay dues i s yours around 2k. Beachfront resort close to golf courses, casinos and more! 2019 maintenance fees paid! Buyer may receive a title fee credit, inquire for details!